This 1X PCI Express card gives dual USB 3.0 ports intended for connection internal to the PC. It is useful when a PC case has USB 3.0 ports built into it, but the motherboard has no USB 3.0 header. Most modern motherboards now offer a USB 3.0 header which is extremely useful if your PC case has USB 3.0 ports built into it. However, if your motherboard doesn't have this header or if extra ports are needed, (such as for connection to a card reader), this PCI Express card is potentially very useful. The card itself is physically quite small and it comes with both full height and low profile backplates, allowing it to be fitted into both standard and low profile PC cases. 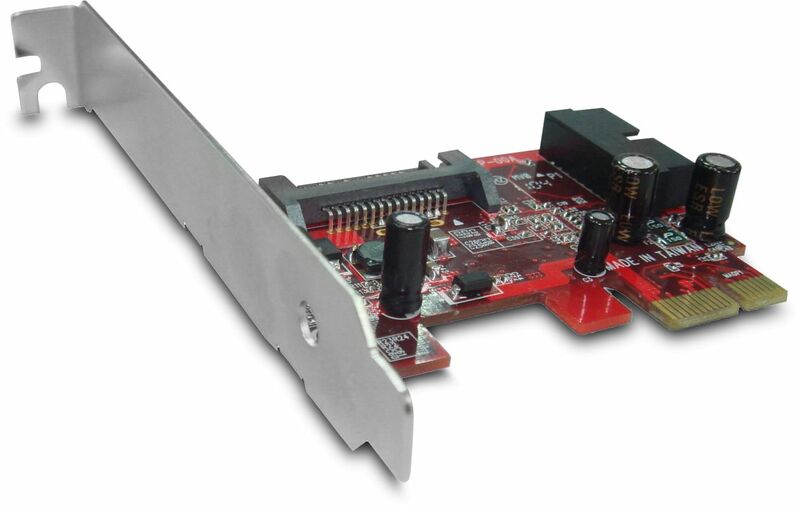 The UB-114i can take its power directly from the PCI Express slot but if you have a spare SATA power connector then we recommend that you connect it to the card in order to reduce power loading on the PCI Express bus.